For those of you who have seen a few of my Friday posts, the squirrels Smudge and Tripod have been surviving the heat reasonably well. The bird bath has been at least as popular as the bird feeder. Bad Bunny was last seen munching some weeds that I was going to tear up after the heat wave passed. Right now, we have three lobelia plants, two of which have buds but the top of the third has been neatly chopped off. 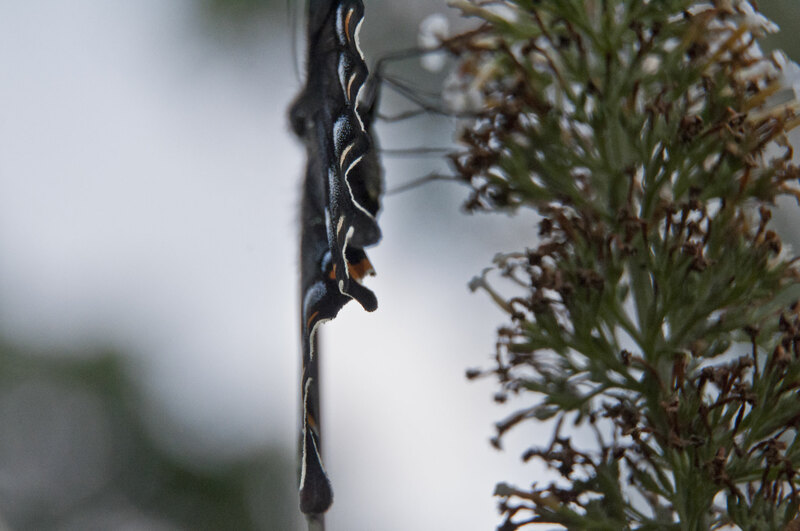 I have pictures of them all, but for today I decided to focus on the bugs. 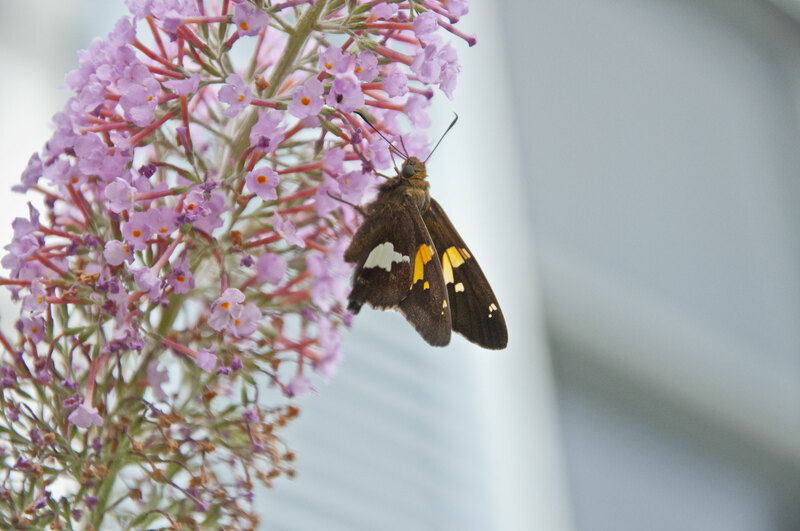 In front of my sister’s house there are several butterfly bushes and a row of some other bushes whose name I don’t know. The flowers on these other bushes are a yellowish-green and not especially pretty, at least to my human eyes. 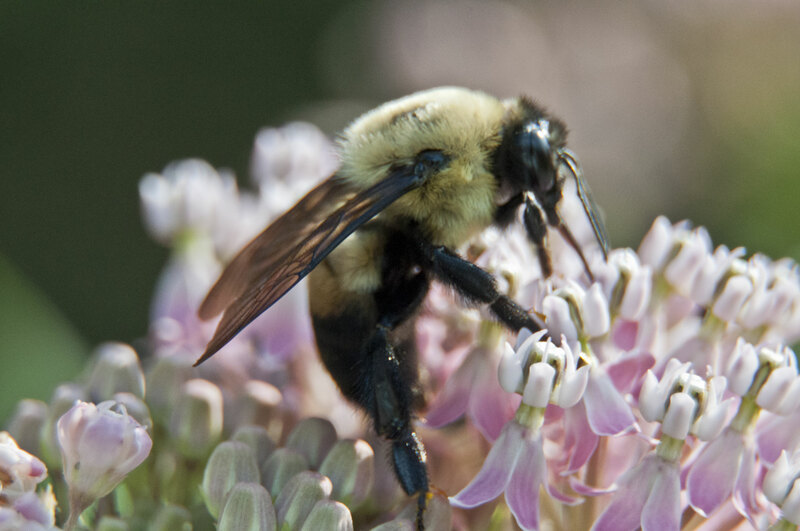 However, they must be especially excellent nectar producers because the bushes, when they are in bloom, are just teaming with bees, wasps, flies and butterflies. 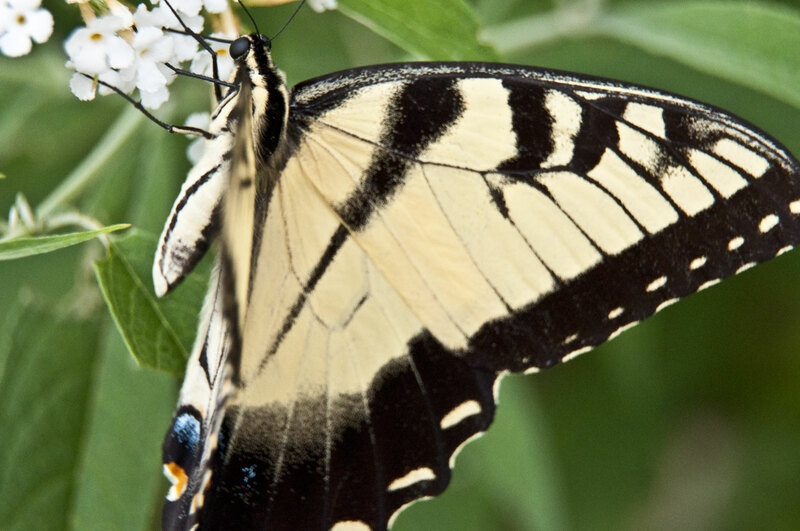 It was the sight of this Tiger Swallowtail through the window that drew me outside into the heat. 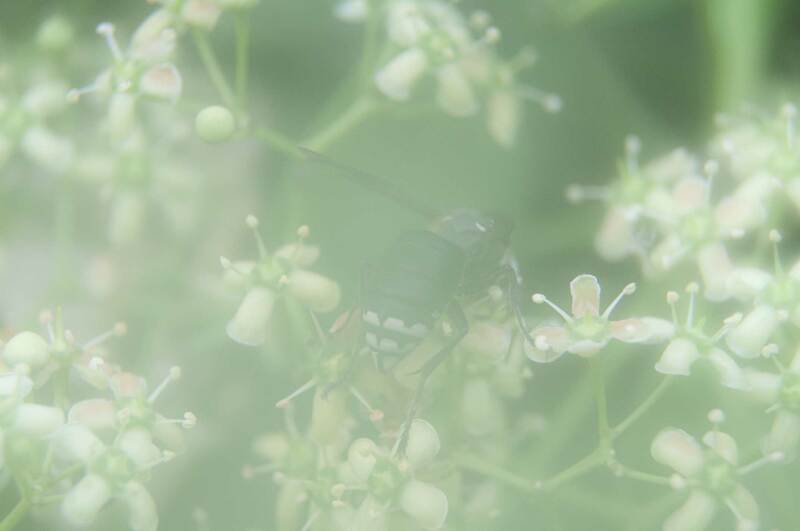 It was so humid, I had to keep wiping off my lens, which kept clouding up. 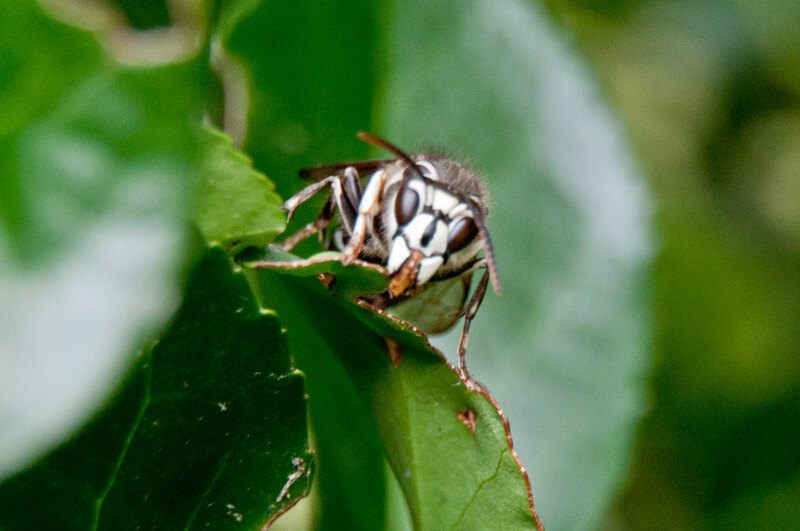 After I wiped off the lens, I was able to get some good shots of a baldfaced hornet. 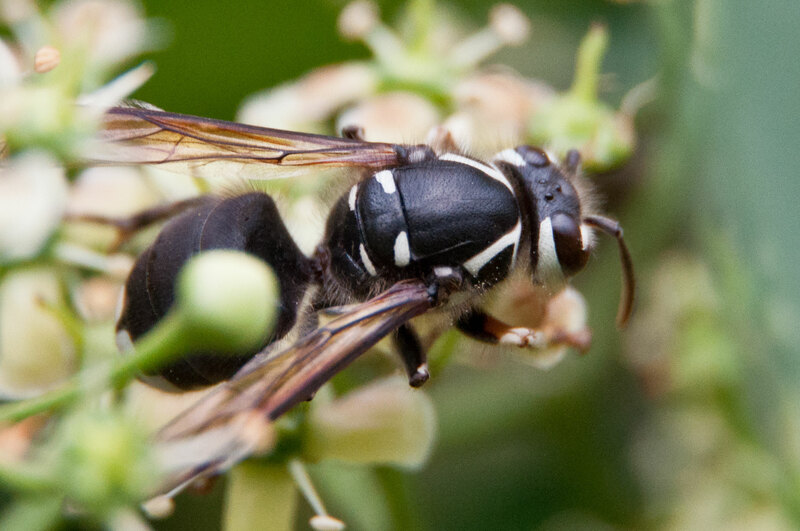 Although the common name is “baldfaced hornet,” it is actually a wasp. There were at least a dozen of these silver spotted skippers. I have not yet identified this bee-like creature. 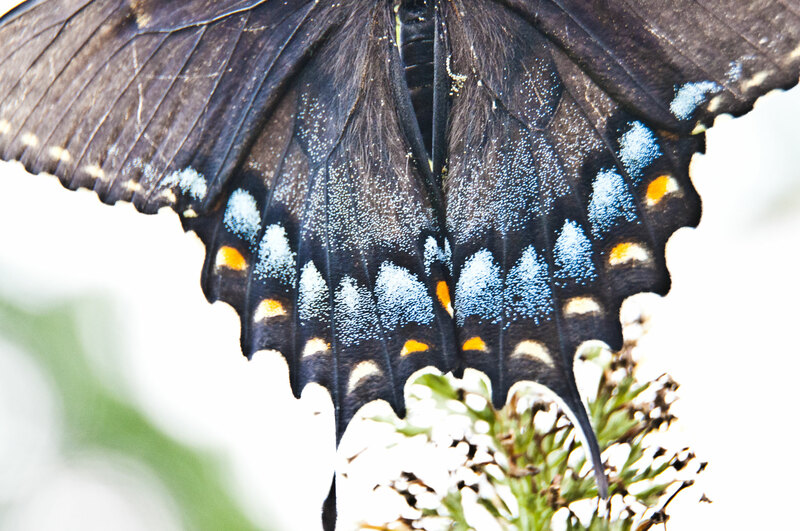 I had the wrong lens on my camera to capture the large Spicebush butterfly. As a result, I wound up with some interesting, although accidental, images. 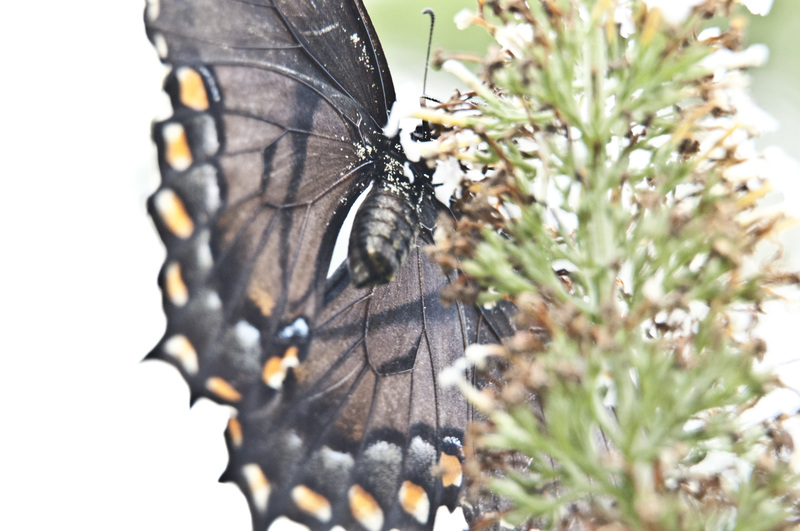 I love how you can see what appears to be pollen clinging to the underside of the butterfly. 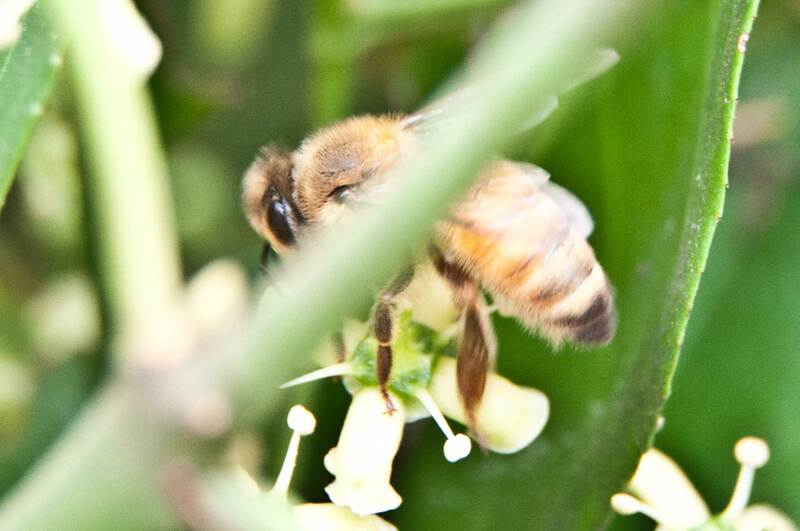 I’ve seen few honeybees than in years past. Sadly, we lost a hive over the winter. 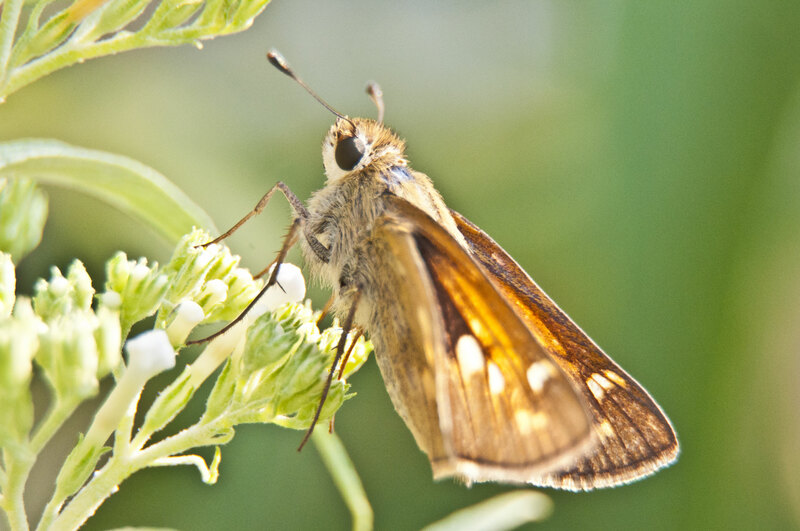 A small brown butterfly which I have tentatively identified as a Dun Skipper. If anyone is more certain, please let me know. If the European honeybees seem to be struggling, our native bumbles were out in full force. 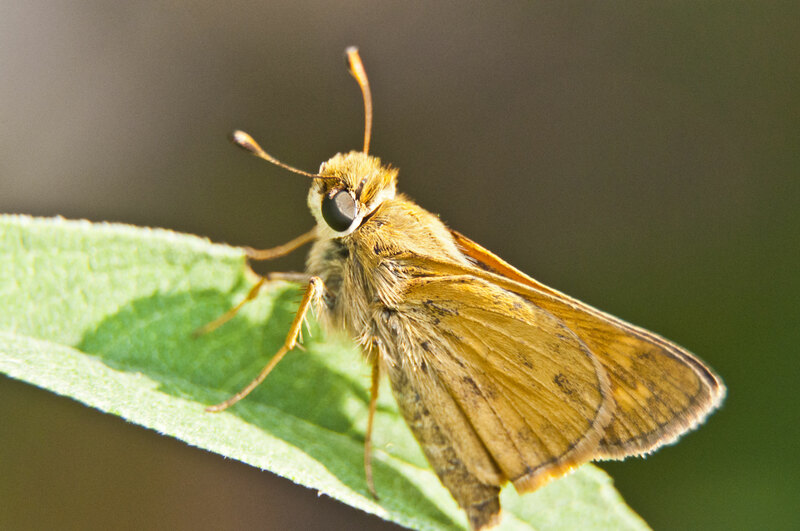 Another difficult to identify skipper. Great photos , you really caught the bee !! Great shots! The unidentified one I believe is a hummingbird hawk moth! I’m no expert, but I photographed one of those in the Pyrenées and had to find out what it really was. Thanks for pointing me in the right direction. It’s definitely the same family. 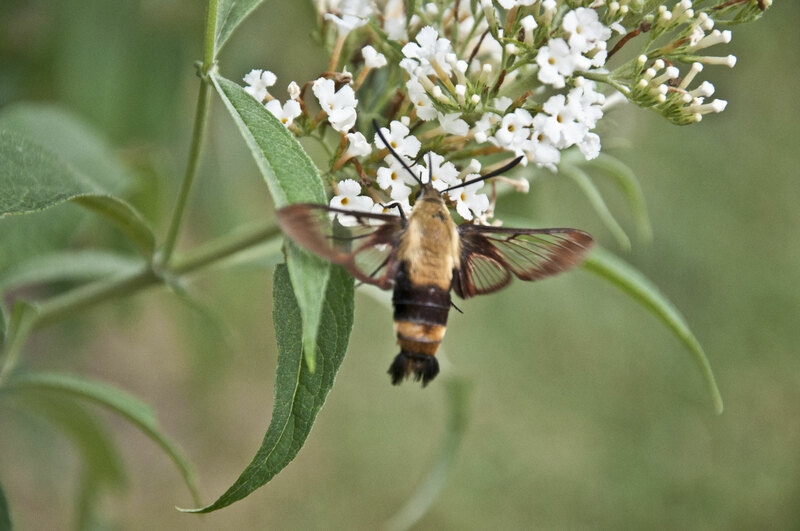 It looks like it might be a broad-banded bee hawk moth, although I haven’t yet confirmed whether or not they’re found in Eastern North America. I wasn’t even sure where to start looking, fly, moth…. One of these days I’m going stop being lazy and post some of my photos on bugguide.net. Never been there…might take a look.